The DTU Faculty of Political Science was founded in 1994, together with the University itself. The Faculty provides knowledge of the political theory of scientific revolution, the viewpoint of the working class, revolutionary morals and lifestyle, and thinking methods of scientific dialectics; teaches knowledge and profession, creates a spiritual and political motivation for a multi-faceted personality development. To realize these tasks, all staff and lecturers of the Faculty always persistently and thoroughly strive to be worth the title “pioneers of ideological politics”, worthy of the double designation of teacher and scientist in ideological theory, dedicated and highly-qualified and worthy of the students and colleagues’ trust and love, and absolutely loyal to Party and People. 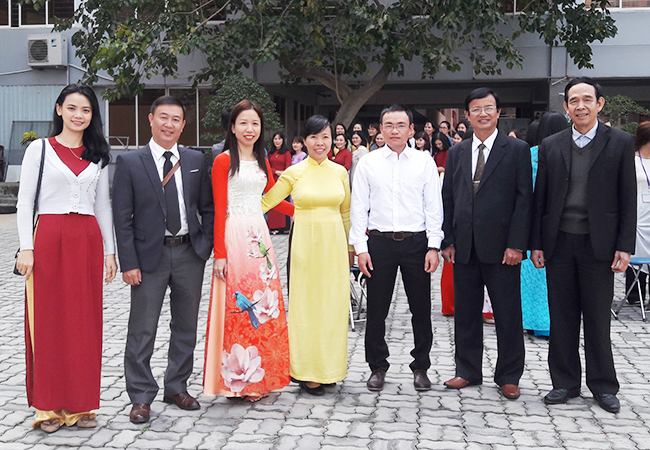 All lecturers of the Faculty obtained Master’s degree in Political Science from prestigious political institutions, such as the Ho Chi Minh National Academy of Politics, Danang University of Education and Hue University of Education. • Cultural policies of the Vietnamese Communist Party.